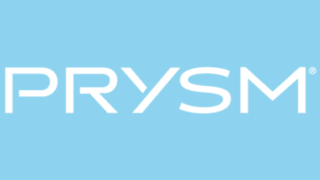 Prysm has completed the acquisition of Kaybus, a leader in secure, cloud-based knowledge automation software for enterprises, securing additional enterprise-grade enhancements for Prysm Application Suite. * Security enhancements - New configuration options and flexible tools for administrators will help ensure adherence to strict enterprise security standards. * Enhanced language flexibility - New user interfaces and documentation in local languages will encourage adoption among end users during global implementations. * Robust search functionality - Enhanced search enables specific content searches across Prysm projects and workspaces, using criteria filters to quickly find data and information. * Enterprise-grade and secure single sign-on – Streamlined approach saves administration time as users leverage sign-on without sacrificing security. The Kaybus acquisition accelerates Prysm’s ability to bring innovative capabilities to market, and new functionality from this acquisition will begin to appear in Prysm Application Suite starting in Q3 of 2017. All Kaybus employees, based primarily in California and India, are now Prysm employees.